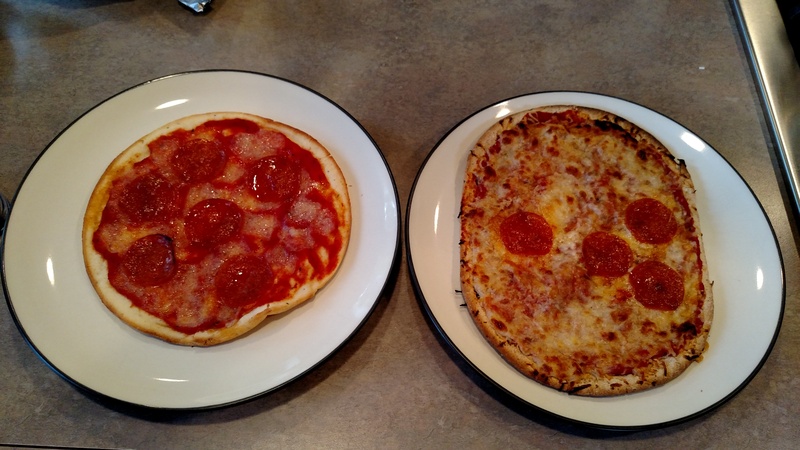 Regular pizza versus a Cooper-friendly pizza (gluten-free, egg-free crust, rice cheese). Which is which?!? !